You know what I love? Polka Dots. And today we're going to take a special look at polka dotted shoes. My friend Sarah got me these in orange chevron and I'm obsessed. Who wouldn't love them in dots? There are certain occasions that call for a four and half inch heel. 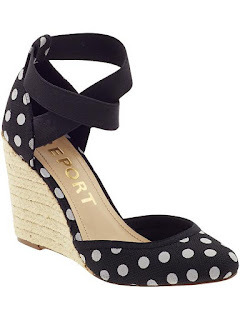 When they come with polka dots and bows it's even better. A fabulous alternative to the rubber flip flop! How about an espadrille for summer? Standard, chic, and timeless. Black and white polka dots. Love this post! And I love my shout out. I'm so self obsessed. Seriously though, love all the shoes! LOVE them! 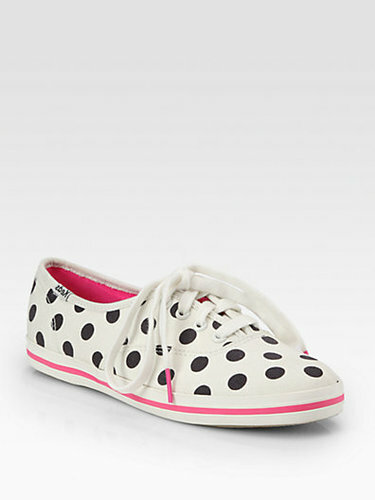 I'm thinking about getting the kate spade keds, but I may attempt to DIY them.